With Celtic-Americana Roots music true to their name, Beyond The Pale delivers a wild musical ride outside the boundaries of convention. Delighting audiences for over 15 years, the band is grounded in the traditional roots music of America, Ireland, and Northern Europe with imaginative ventures across musical borders. Where else can you experience fiery reels, haunting ballads, outrageously humorous songs, and music from around the world including Mexican polkas and Texas swing? 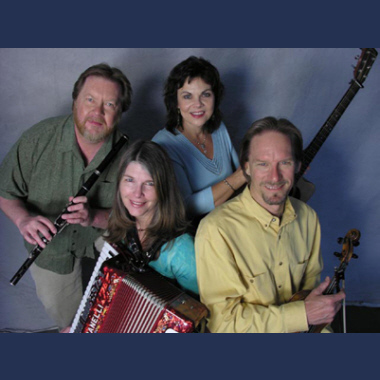 Their unique instrumentation includes fiddle, flute, hammered dulcimer, accordion, guitar, and more.